Protect your family from diseases and enjoy your yard all summer long. Mosquito season is in full swing and they show up everywhere; from backyard barbecues to pool parties! Mosquito bites range from annoying to painful, and can lead to life-threatening diseases like Zika, Dengue, and West Nile. 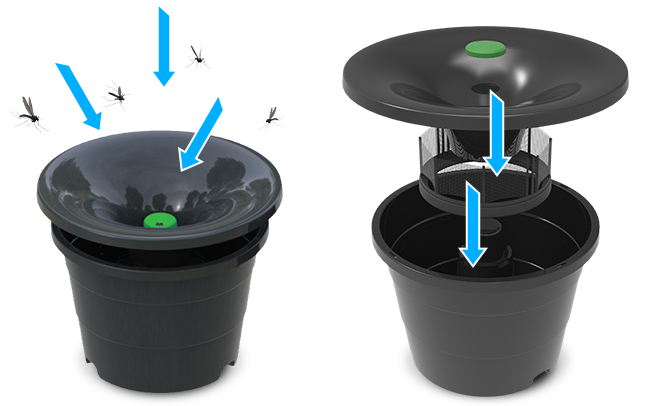 Our Mosquito Trap System protects your family and friends from the most annoying and dangerous pest in the world. Our system lures and contaminates Aedes mosquitoes with a special, slow-killing larvicide which is then carried to other breeding sites that are otherwise hard to find and treat. The mosquitoes also encounter a biological adulticide that kills the contaminated pest after a few days. 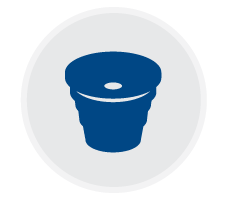 The trap provides the double advantage of not only killing mosquito larvae inside the vessel but also within its vicinity. As a result, mosquitoes and their offspring are killed leading to a significant decrease in mosquito population and disease transmission risk. A thorough inspection of your property, targeting areas and conducive conditions where mosquitoes can thrive. Recommendations on the best steps to take to reduce the conducive conditions. Monthly maintenance of the mosquito system.